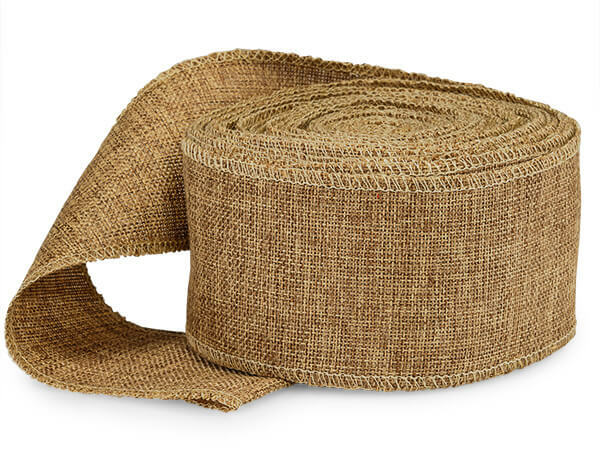 Buy More Burlap Ribbon Save More! This wide, woven soft burlap style ribbon is easy to work with and makes beautiful bows. Sizes are great for use in decorating, arts and crafts, wreaths or to make large bows. Ribbon is a faux burlap with sewn edging, flange free and is polybagged.